Experienced cycling coaches have a tremendous amount of knowledge. This can be helpful because competitive cycling is a complex sport. There are many variables that impact your success including the bike itself, bike fit, position on the bike, bike handling, year-round training regimen, diet, motivation, rest and recovery, choice of racing discipline and race selection. A good coach can be very helpful when it comes to developing a training plan, improving your cycling skills and dealing with problems such as performance plateaus. Objectivity is another benefit of coaching. A coach can objectively diagnose problems that are impacting your performance. For example, if you are struggling during the season, you may have difficulty determining the cause of the problem, but it might be clear to your coach. He might notice that you are not resting enough, or may recognize the need for a diet modification. Even more commonly, your coach may point out that your expectations are unrealistic for your current stage of development. With their impartial perspectives, coaches can often discern issues that athletes overlook. Third, a coach can be a great source of inspiration. Never underestimate the tremendous psychological benefit an effective coach can provide. No matter how dedicated and committed you are, sooner or later, you’ll need some inspiration. Cycling is a very difficult sport and there are numerous obstacles every cyclist must face. These include injury, illness, difficult training and racing conditions, uncertainty and a lack of confidence, especially when things are not going well. A coach can help motivate you during these difficult times. She can be a source of strength, a shoulder to cry on, a sounding board and a friend. A coach will also hold you accountable. You may buy the excuses you make but a good coach never will! 1. Am I currently improving as an athlete? If you are showing continuous improvement as a self-coached athlete, keep up the good work. You are clearly taking appropriate steps with your training. While a coach may be able to boost your performance even more, stick with what you are doing, unless you hit a plateau where you just can’t seem to improve. This will be a better time to hire a coach. 2. Am I committed to improving my performance? Everyone wants to ride and race faster, but are you both willing and able to make the sacrifices necessary to make this happen? Will you commit to a periodized training regimen that requires different types of training throughout the year? Are you motivated to maximize your performance and willing to traverse a potentially unexpected path to get there? 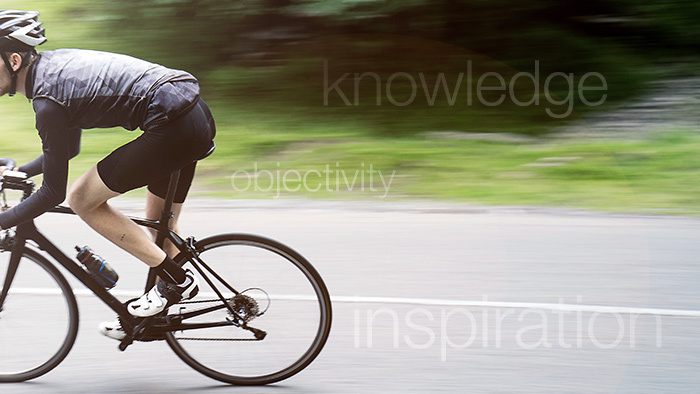 Competitive cycling is a very demanding sport that requires a significant amount of time to maximize your potential. Most cyclists have to juggle training and racing with work and family responsibilities. This can be a very difficult juggling act. To get the best use out of a coach, you will need to have sufficient time, not only for your training but for your interactions with your coach. Do you have the time, as well as the support from family and friends, to make this happen? 4. Am I willing to listen? This might be the most important question. Are you going to listen to your coach and follow her instructions? While an effective coaching relationship consists of two-way communication where coach and client both take responsibility for creating success, your coach will have specific tasks she wants you to complete. Are you going to listen? Will you carry out the training plan as prescribed? Will you perform the workouts as directed? Or do you like to dance to the beat of your own drummer? While there is nothing wrong with following your own path, it can limit the effectiveness of a coach-athlete relationship.